There are widely recognized, significant limitations with conventional MRI methods for treatment planning as well as evaluation of treatment response in brain tumor. Spectroscopic proton magnetic resonance imaging (SMRI) is a special technique performed to measure endogenous metabolite levels within defined volumes of tissue without having to inject a contrast agent. Specific SMRI metabolite profiles are associated with malignant cells and a particular signature could identify brain regions with at-risk tumor that is not recognized by standard MR images. Our mission is to develop and optimize clinically useful volumetric SMRI that would have substantial impact both on future treatment trials, and also in guiding management in individual patients. Nearly 70,000 Americans are diagnosed with a brain tumor every year. Two thirds of all brain tumors are considered benign; among those that are malignant, glioblastomas (“GBMs”) are the most common in adults, with over 10,000 cases in the US each year. GBM’s have a poor prognosis, with approximately only half of patients surviving more than a year after diagnosis. 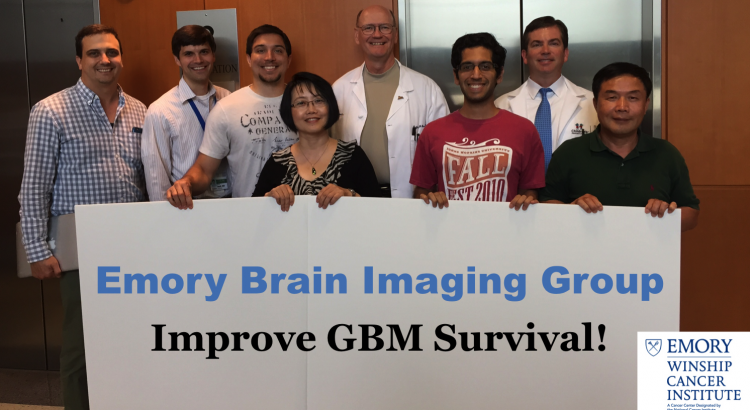 Research is a critical component in the fight against brain tumors like GBMs. The Winship Cancer Institute at Emory University plays a huge role in combining amazing patient care with some of latest advances in cancer treatment. At the Brain Imaging Group, our goal is to use magnetic resonance imaging and expertise in drug development to provide clinicians with better tools to diagnose, treat, and care for their patients.